Celebrate 8 Years of SciTech & the Grassroots Statewide STEM Initiative! 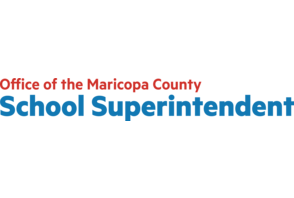 This year’s statewide Kickoff Conference will focus on bringing together Arizona’s key stakeholders in what will be the one of the largest collaborative STEM conferences in the state! 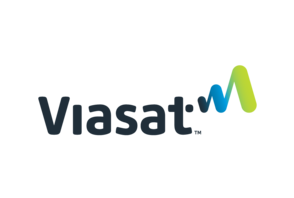 Join 1,000+ leaders in business, industry, education, government, NGO, the community, and more! Over 1,000 Already Registered. Don't Miss Out! This year’s program will include the following 6 tracks with interactive panels, discussions, workshops, and talks! The Latest & Greatest in AZ STEM & Innovation – Did you know Arizona is on the front lines of innovation in STEM? Learn about opportunities to engage, from exciting speakers to free resources for all! Bridging the Barriers in STEM – Be inspired by our local leaders who are breaking down boundaries, merging points of view, and using our differences as a platform to enhance STEM in Arizona. 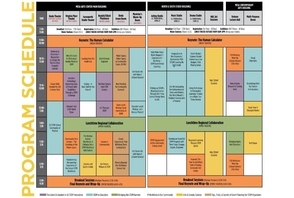 Tricks & Best Practices of Event Planning for STEM Organizers– Best practices to plan, promote, engage your community, and build partnerships for your event. 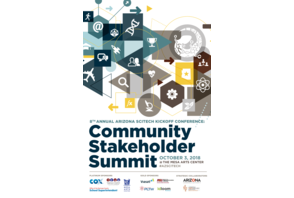 STEM Workforce & Our Community – Come discover what exciting careers and jobs are out there, the how’s and why’s of STEM professionals and everyday people’s engagement all around us, and and find out what brings Arizona together! Arts & Sneaky Science – Experience how the arts & the “non-traditional” are directly interconnected with STEM, and see what fascinating “STEAM” endeavors are being made in Arizona. **Interested in bringing a group of 10 or more? Contact Marisa at mostos@aztechcouncil.org. *Carpooling, rideshare, and public transportation are strongly encouraged. The Valley Metro Light Rail stops AT the Mesa Arts Center! New this year: free lunch for all registered attendees! All proceeds will go directly toward the cost of putting on this fabulous community conference (unless otherwise discussed). Thank you for your support! Questions? Contact Marisa Ostos at mostos@aztechcouncil.org. Scott Flansburg, known as The Human Calculator® (a nickname given to him by television star Regis Philbin) is an educator, speaker, Guinness World Record holder, bestselling author, and host of ‘The Human Calculator’ tv show on the History Channel International. Scott has been teaching mental math shortcuts and entertaining people around the world and on television with his superhuman skills for more than 28 years. He earned this nickname as a result of his remarkable abilities to perform rapid mathematical calculations including addition, subtraction, multiplication, division, square roots and cube roots with amazing speed and calculus tor accuracy using only the power of his mind. Scott is a multi-award winning Guinness World Record holder for the “Fastest Human Calculator” which includes correctly adding a randomly selected two-digit number (38) t o itself 36 times in 15 seconds without the use of a calculator (faster than a person could do with a calculator). According to a recent scientific study, his mental calculations are faster than his ability t o speak the answers. 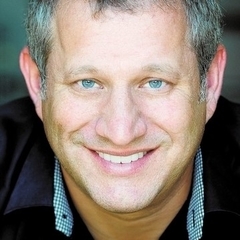 He frequently makes appearances on many of the leading talk, radio and news programs including The Oprah Winfrey Show, The Tonight Show with Jay Leno, and The Ellen DeGeneres Show. 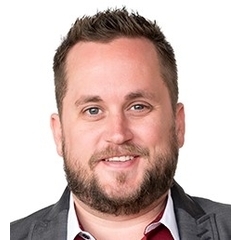 Now an elite “edutainer,” Scott travels the world speaking to educators, parents, corporate leaders, and thousands of students each year, teaching them about mental math and demonstrating his world record abilities. Scott is dedicated to helping both students and adults overcome their fears related to numbers and arithmetic. He believes everyone has the ability t o do mental math and is on a mission to help everyone feel comfortable and confident with numbers in everyday life. With a background in marketing, in various for profit and not f or profit companies, Kyle wondered, “How can I pair the pas sion and commitment to community progress of a non-pr ofit with the sustainability and reach of a f or-profit company?” From this question and perspective, a mission evolved to tear down the false distinction between the two sectors and to promote companies with Conscious Capitalism® business models through MAC6. Kyle is the President and Creative Excitant of MAC6. Day to day, his main operational role is on the “ spaces” side of the busines s, focusing on creating thriving communities in the commercial office buildings, the co-working space, and the co-manufacturing space. The other role that he plays is that of EOS implementer, working with a number of clients t o bring the Entrepreneurial Operating System from the book Traction® to their businesses. Additionally, he sits on the boards of Conscious Capitalism Arizona, telling the stories of good businesses in Arizona, and the Tempe Chamber of Commerce, sustaining Tempe’s quality of life and keeping our community and economy vibrant. Kyle loves Arizona and wants to see us all collectively find great success based on the awesome things that are happening here every day. Mesa's International Award winning facility is the largest & most comprehensive performing, visual & educational arts center in the state of Arizona. 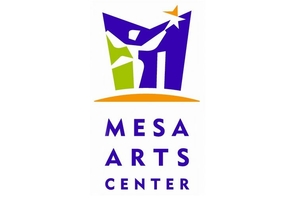 Mesa Arts Center is a top rated destination for Things To Do in Mesa by Trip Advisor. iFLY is where the dream of flight becomes a reality. Become a part of something bigger than yourself. 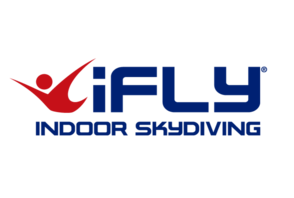 You'll fall in love with the sensation & the freedom that comes with floating on air and when you do, there's a new & exciting sport of indoor bodyflight to become involved in. The Arizona Technology Council Foundation is dedicated to supporting STEM education (mostly informal experiences) by carrying out projects, programs, fairs, bowls and festivals that focus on STEM. Mission: STEM or science, technology, engineering and mathematics represent the disciplines of knowledge by which we understand, measure, and design our world. 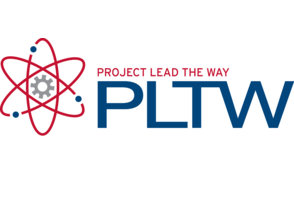 STEM education is an integrated, interdisciplinary approach to learning that provides project-based and relevant experiences for students in the STEM disciplines. This type of education offers students one of the best opportunities to make sense of the world holistically, rather than in bits and pieces. STEM education removes the traditional barriers erected between the four disciplines, by integrating them into one cohesive teaching and learning paradigm. The Arizona Technology Council Foundation is dedicated to supporting STEM education (mostly informal experiences) by carrying out projects, programs, fairs, bowls and festivals that focus on STEM. 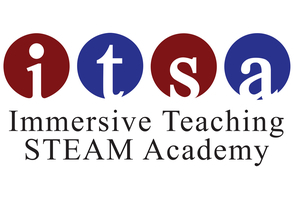 The purpose of this support is to motivate students to seek educational and career paths in STEM-related fields. The Foundation also sponsors students who are pursuing careers in technology through scholarships and grants. Vision: The Arizona Technology Council Foundation will be a collaborative organization, serving to productively align the technology-oriented assets of the state, and attracting grants, resources and support from both within and beyond the state’s borders by promoting and connecting Arizona’s industries, leaders and successes and building a world class community of technology sophisticated workers. 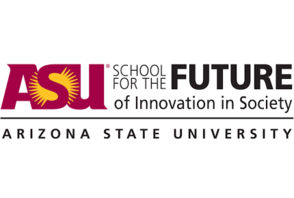 The Arizona Technology Council Foundation relies heavily on fundraising and generous donations from people that want to support the growth of focused STEM education in Arizona. A donation for education is easily accepted via check (please address check to the Arizona Technology Council Foundation and mail to 2800 N. Central Avenue, Suite 1530, Phoenix, Arizona 85004) or our PayPal account. To donate today using our PayPal account, please use the button below. 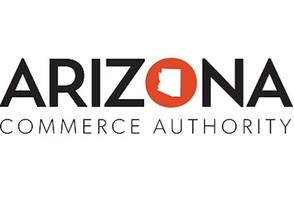 The Arizona Commerce Authority is an aggressive economic development organization focused on advancing the state's economy both through the recruitment of quality companies and jobs and the expansion of companies already doing business in Arizona. The Arizona Commerce Authority (ACA) is the state's leading economic development organization with a streamlined mission to grow and strengthen Arizona’s economy. The ACA uses a three-pronged approach to advance the overall economy: recruit, grow, create – recruit out-of-state companies to expand their operations in Arizona; work with existing companies to grow their business in Arizona and beyond; and partner with entrepreneurs and companies large and small to create new jobs and businesses in targeted industries. The ACA is overseen by a public-private sector board composed of Arizona leaders in business and policy. The board is overseen by Arizona Governor Doug Ducey and co-chaired by Brian Mueller, President and CEO of Grand Canyon University. Joining them on the board is a group of prestigious private-sector business leaders, elected officials and university presidents. 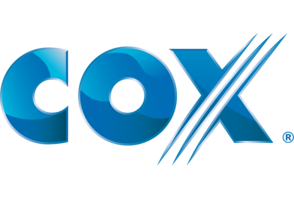 The ACA’s executive management team drives the organization’s day-to-day operations, ensuring it maintains focus on the recruitment of quality companies and jobs to the state of Arizona. 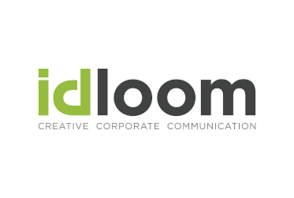 This team brings together the best and brightest in economic development, management and communications.